First I would like to point out that JJ has never been an avid reader. In fact he is quite the opposite. When he sees me pulling out a book to read he will actually run in the other direction. I refuse to force him to become interested, so I usually sit down by myself and read one of his books aloud and act like I am enjoying it a lot. I am hoping that he will eventually wander over and see what is so exciting. Thus far, this has failed. Often he will just stare at me from the corner of the room looking at me like I have just sprouted two heads. So when recently, as part of his new bedtime procrastination, JJ started asking me to read him 'maw'. I jumped on the chance to engage him in several of my favourite books. These are the books that JJ has really been enjoying this week. This beautifully illustrated bedtime story is one that JJ loves. 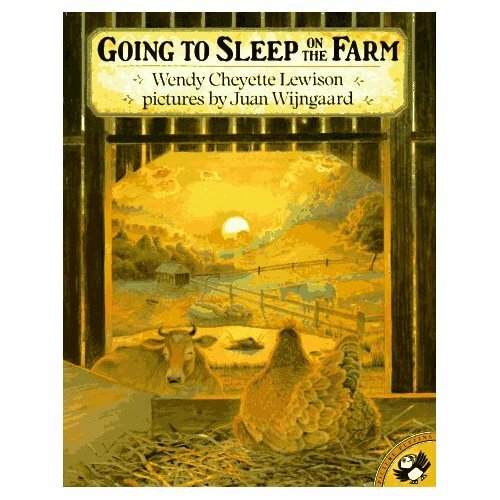 He is really into playing with his farm and his farm animals, so he can really relate to the pictures and the sounds as I read along. The text is simple and repetitive without being silly and nonsensical. It is a great lulling read aloud story. I have no qualms in admitting that I am a huge Edward Lear fan. When JJ was a baby I would spend many hours just reading him Edward Lear poems. They are lilting to read and they are just so much fun! JJ used to be entranced. He would happily snuggle and just listen. That was until he figured out being mobile was much more fun. We haven't read any Edward Lear for a very long time. Then when we were at the library I picked up the Quangle Wangle's Hat. JJ was instantly enarmoured with it. He might possibly be his favourite book right now. 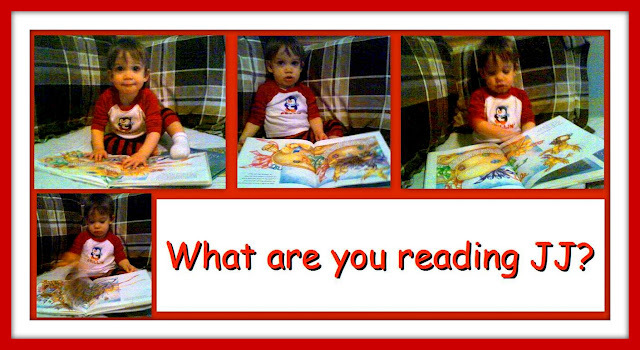 He loves the vivid illustrations and will now happily sit and read this book to me and himself. He even asks for it. 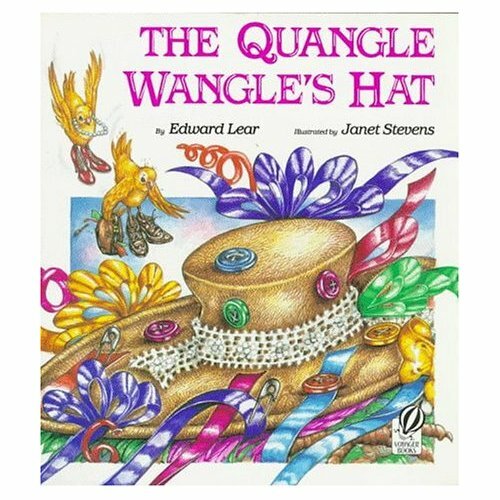 He calls the book Quee! I have been in love with these books for years. I love how sweet and captivating the illustrations are. I love how the rhymes and songs are often shortened so that young children don't lose interest. I love that between both books you can teach your child pretty much all the essential nursery rhymes. James has only now just started to like these books. He is mostly interested in turning the pages now. I highly recommend these books to anyone looking for that perfect collection of Mother Goose Nursery Rhymes. They are perfect board books for babies. 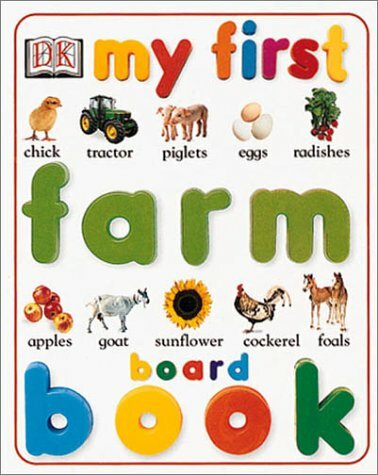 As your child gets older you could switch to a more comprehensive book that would have the rhymes in their entirety. 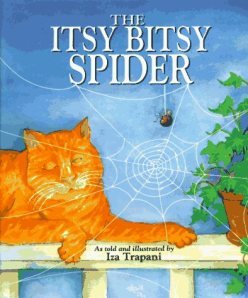 I have read several Iza Trapani books and not a single one has disappointed me yet. This book keeps James interested because I am able to sing the entire book to the tune of Itsy Bitsy Spider. We also like to play a game by searching for the spider on each page. Have I mentioned how much JJ is into farm animals? Well I think that is why this board book by DK is much more popular than any of the other books in this series. He loves the noises I make for the tractors and he also once again loves to hear the noises that the animals make. Oh and lest I forget to mention, the book it mighty tasty too.